41 Pristine Acres Good Wells in Area Horses OK Good Access Kingman AZ! 41 Pristine Acres Good Access Kingman AZ! 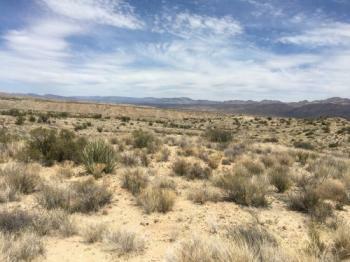 41 beautiful untouched acres of high Arizona desert backs to 640 acres of State land you can enjoy. 41 Pristine Acres Good Access Kingman AZ! This beautiful low desert parcel is a pretty easy drive and has lots of rolling hills type topography to provide several very private places to literally disappear on your own property. Property is about 2 miles west of Highway 93, and about a 3 mile drive from the asphalt. At about 3800 feet elevation, the Windmill Ranches area is very quiet and private sloping desert land with some low vegetation. 41 Pristine Acres Good Access Kingman AZ! Finance land purchase and home construction for as little as 0% to 3.5% down! Eligible for Manufactured Homes, Single Family Residences and Modular Homes! Ask us how! Windmill Ranches has a mild climate, cooler than the hot deserts to the west and south and warmer than the higher, cooler elevations around Flagstaff. It sits over the Big Sandy Ground Water Basin with good drilling depths. (Adjacent lot to the South is also for sale. MLS #951165.) Visit our Windmill Ranch Facebook Page! As a builder, an infrastructure specialist, a land owner and a real estate agent, I know land from many points of view. I can find the right unique parcel for you, help you get an owner to carry back part of the cost and avoid the pitfalls of a bad choice. I will help you find the solar expert, the septic guys, the well driller and the right house to put on your land. Call, text or email me, I will get back to you very quickly. My dad has a way of saying "Fooouuuurrrrrrty Acres" - it was always his dream. But he ended up with 2 acres along a creek and built an idyllic get-a-way. Nice listing! This is a great listing for a buyer looking for a private, peaceful parcel. I am sure you will have it sold soon. October 2017 Willow Creek Ranch Kingman AZ Best Home Deals! MOTIVATED OWNER MAY CARRY 36 Acs Horses OK Kingman AZ Willow Creek! 3 Bed Home Open Floor Plan 3 Car Garage 20 Acres Horses OK Kingman AZ! PRICE CUT Buildable 10 Acres Easy Access Kingman AZ No HOA/POA! Find AZ real estate agents and Kingman real estate on ActiveRain.